RecoverFuel is a hard-working blend designed to support the body after intense physical exercise. After exercise, the body requires nutrients in order to recover and physically adapt. After training or competing intensively, the bodys immune system can become compromised, and so quality nutrition is imperative in ensuring you can perform at your best, all year around. RecoverFuel packs over 20 nutrient-dense ingredients into every single 60g serving. 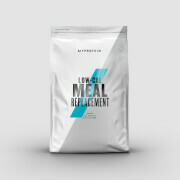 With a multiple carbohydrate blend, RecoverFuel will ensure your muscle glycogen stores are effectively restored. With a premium supply of whey protein isolate, RecoverFuel provides over 22g of protein per serving. To ensure the body receives a tapered supply of amino acids, this innovative blend incorporates Micellar WheyTM, a truly next-generation protein. With the amino acid profile of whey, but the absorption properties of casein, the body receives over 5g of BCAAs per serve. 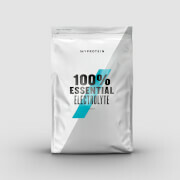 With exclusivity in the EU to Micellar WheyTM, you can be assured that RecoverFuel will give you the competitive edge. Who is RecoverFuel suitable for? Natural flavoured ready to mix carbohydrate and protein powdered drink blend with added vitamins, minerals & with sugar and sweetener. Mix 60g (1 ¾ scoops) with 500ml water and consume immediately after exercise. For allergens, see ingredients highlighted in bold. May also contain egg. Made in a facility which handles nuts and peanuts. Natural Chocolate Flavour: Maltodextrin (47%), Whey Protein Isolate [Milk] (35%), D-Celle Whey ® (Whey Protein Concentrate) [Milk] (8%), Fructose, Flavouring (Cocoa Powder, Sweetener: Steviol Glycosides), Sodium Chloride, Vitamin A, Vitamin E, Vitamin C, Thiamin, Riboflavin, Niacin, Vitamin B6, Folic Acid, Vitamin B12, Magnesium, Iron, Zinc, Iodine, Emulisifier: Soy Lecithin, Ganeden BC30®, Acidity Regulator (Potassium Chloride), Magnesium Citrate. Natural Vanilla Flavour: Maltodextrin (47%), Whey Protein Isolate [Milk] (35%), D-Celle Whey ® (Whey Protein Concentrate) [Milk] (8%), Fructose, Flavouring (Sweetener: Steviol Glycosides), Sodium Chloride, Vitamin A, Vitamin E, Vitamin C, Thiamin, Riboflavin, Niacin, Vitamin B6, Folic Acid, Vitamin B12, Magnesium, Iron, Zinc, Iodine, Emulisifier: Soy Lecithin, Ganeden BC30®, Acidity Regulator (Potassium Chloride), Magnesium Citrate. Natural Strawberry Flavour: Maltodextrin (47%), Whey Protein Isolate [Milk] (35%), D-Celle Whey ® (Whey Protein Concentrate) [Milk] (8%), Fructose, Flavouring (Sweetener: Steviol Glycosides, Colour: Beetroot Red), Sodium Chloride, Vitamin A, Vitamin E, Vitamin C, Thiamin, Riboflavin, Niacin, Vitamin B6, Folic Acid, Vitamin B12, Magnesium, Iron, Zinc, Iodine, Emulisifier: Soy Lecithin, Ganeden BC30®, Acidity Regulator (Potassium Chloride), Magnesium Citrate. Nutritional information is the same across all flavours. My Goto recover shake, ends a decent amount of shaking to fully mix but very pleased with taste etc. Having seen a discount code for 35% off I decided to give this a whirl, to explore a change or just another option to have in the cupboard from my other brand. I'm thoroughly disappointed with the 'natural vanilla' flavour, it's just nothing like other vanilla products from leading nutrition manufacturers. I wish I had gone for chocolate instead, normally you can't go wrong with that - but for variety I thought I'd try something else. As flavour is subjective, and to be sure it wasn't just me, I asked others (without saying anything first) for their opinion. Everyone said the same; it tastes like white chocolate, not vanilla! (Yes those flavours are similar, but there is a difference). Flavour aside, packaging is great and the powder dissolves easily after a few seconds of vigorous shaking. Would be nice if the supplied scoop measured the portion exactly (it's 1 & 3/4 of a scoop), but that's being nitpicky, still easy enough to measure.